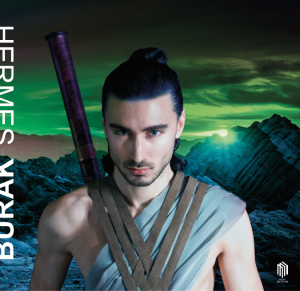 Hermes – BURAK & MUSICA SEQUENZA Baroque is the new pop! In HERMES Burak has created a specific sonic architecture, in which he choreographed sound, using micro tonality and ancient Greek modalities as the foundation for this work. The nucleus of Burak’s exhibition-like piece is supported by the ensemble Musica Sequenza, performing structured improvisations on historical instruments. HERMES is orchestrated by voice, baroque bassoon, glass flute, gut strings, violon, theorbo, lyre, and Persian percussions as well as field recordings and 3D sound design: these all merged into one sensuous and disquieting masterpiece. HERMES has a religious ritual setting at its core, using the Greek tragedy as the dramaturgical nexus for the piece. The choreographed sounds and the micro tonal score transport the listener through various chapters of a spiritual ceremony. With the completion of the nine compositions, is according to Burak, finishing the cycle of the ceremony; the audience is brought back to the starting point with greater awareness to witness the epic finale, thus completing the cycle of the ceremony. “HERMES connects us to one modern tribe; it offers a seductive feeling of uniting ourselves to an ancient human being,” explains Burak. Istanbul-born sound-artist & composer, Burak in unfolding the archaic structures of electronica and melodic techno and by putting them in an improvisational dialogue with ancient instruments, has created living sound sculptures. 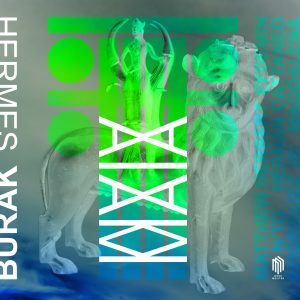 This juxtaposition, Burak’s latest sound avant-garde HERMES, has allowed techno to become more complex, elastic and even vulnerable.